If you need the cargo and passenger space you might expect from an SUV or crossover, but as far as fuel consumption is concerned, you're looking for anything but SUV ratings, the 2017 Toyota Prius V might just be what you're looking for. The Prius V is a larger wagon version of the Prius hatch and it's been with us here in America since 2011 as a 2012 model year. The exterior styling and proportions of the 2017 Toyota Prius V make it something a little bit different that can be difficult to pigeonhole, which those who prefer not to follow the crowd will certainly appreciate. It's actually like one of those European minivans that are based upon a compact's platform, so it's definitely not what we'd consider as a full-blown minivan. 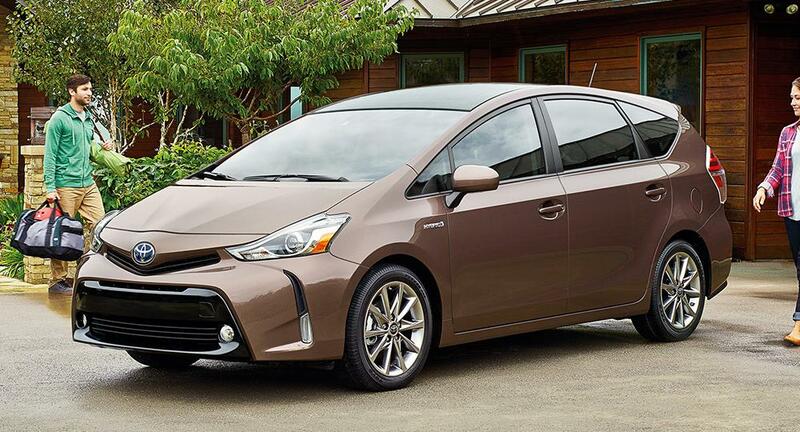 But although at first glance it might look an awful lot like the regular Prius it's derived from, it utilizes entirely unique body panels for a more slab-sided and taller profile than the Prius liftback to deliver additional space for both passenger and cargo. 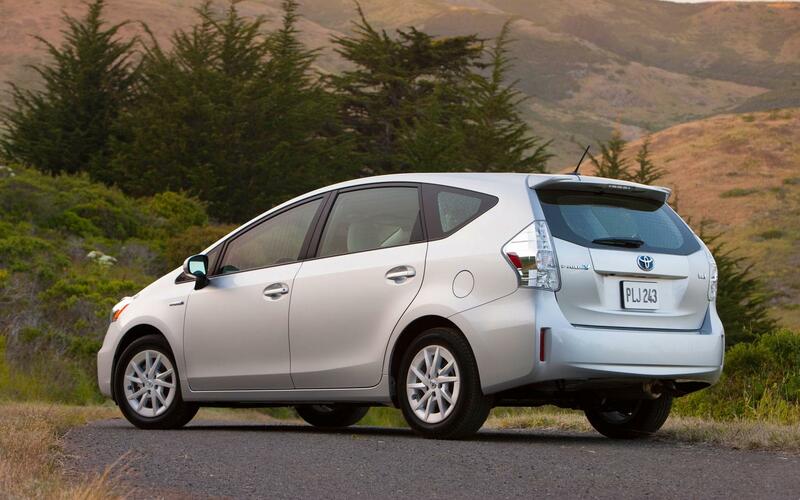 Compared to the liftback, the Prius V features a single piece vertical glass rear window that gives greater rear vision, and it benefited from a styling update in 2015 that delivered an aggressive front end with vertical lines that could be seen as looking a little like fangs. The 2017 Toyota Prius V has the same ride height as a car and not one that's lifted like that of a crossover, but passengers still sit higher and more upright than they do in the regular Prius liftback. The rear load bay offers between 34.3 and 40.2 cu.-ft. of cargo volume, depending on whether the rear seat is slid backwards or forwards. There's also an impressively generous 39 inches between wheel-well housings, and that means large boxy items can be slid easily across the flat load floor. By dropping the 60/40-split rear seat down the available space then grows to as much as 67.3 cu.-ft., which as Toyota like to point out, is a good deal more than there is in a lot of the new small SUVs and crossovers. The hybrid propulsion system in the 2017 Toyota Prius V is a combination of a 1.8-liter inline-four and a couple of electric motor-generators, which has three drive modes of EV, Eco and Power for special circumstances that are supplemental to the default hybrid mode. Of course, the most important statistics for any Prius are always going to be its fuel efficiency ratings, which the EPA gives as 44 mpg in the city, 40 mpg on the highway and 42 mpg combined. Given the obvious eco-friendly credentials of the Prius V, it just wouldn’t feel right if it wasn't also a pretty safe vehicle for all concerned as well. Although the NHTSA hasn't put it though the ringer yet since its body structure was fortified three years ago, the IIHS has given the Prius V its highest overall safety rating of Top Safety Pick+, and it received the institute's top mark of "Good" in all its tests. There's an Advanced Technology package available as an option that adds lane-departure warning and automatic high beams, while a radar-based adaptive cruise control and a pre-collision system are also available options, although a rearview camera does comes standard.